How to Easily Freeze Cookie Dough Post Updated 1/11/17 with new photos and tips. Today the kids were begging for cookies. I really did not feel like having 5 dozen baked cookies around the house. We prepared my Grandmother’ s recipe for Oatmeal Raisin chocolate chip cookies which makes a lot more cookies than we need. Be prepared for further cookie cravings by learning How to Easily Freeze Cookie Dough To Easy to Bake Servings. If you use an ice cream scoop– to get same sized cookies. 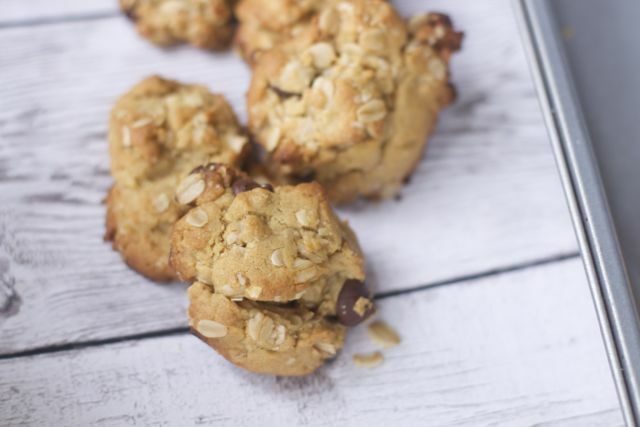 I used the smaller kind for this recipe but if you want bigger cookies they have bigger scoops. 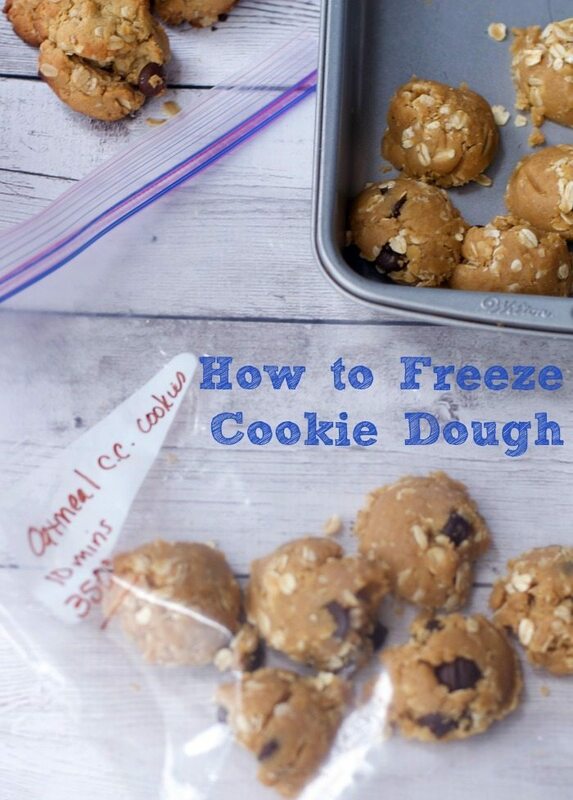 How to Easily Freeze Cookie Dough To Easy to Bake Servings. Once they are frozen solid, I happen to forget about them until the next morning, and then place them into a freezer ziploc bag. Make sure to label the bag with type of cookie, oven temp. and recommended bake time. These unbaked cookies can stay frozen for about 3 months. When you are ready to bake a few more cookies you can just place the cookies onto the cookie sheet frozen. Check them at the recommended time, but they make take an additional minute. 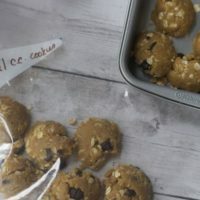 For bake and slice cookies, you can roll the dough into a log and wrap the cookie dough log in saran wrap or parchment and then place into the freezer ziploc bag. To make individual servings, precut the cookies before freezing. Be sure to defrost the Frozen cookie dough log a few minutes before slicing. Frozen Cookie dough a great gift to have on hand. 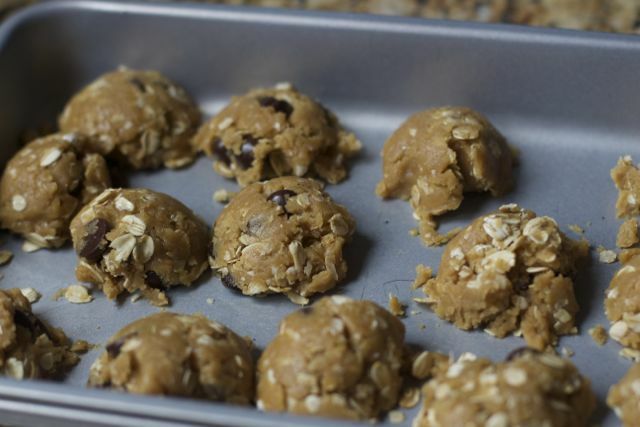 What new mommy or busy family would not like pre-made cookie dough they can pop into the oven? Just wrap ribbon around the roll and add a recipe card or just cookie directions. For the drop cookies, place ziploc bag into a cello bag and tie off with directions. 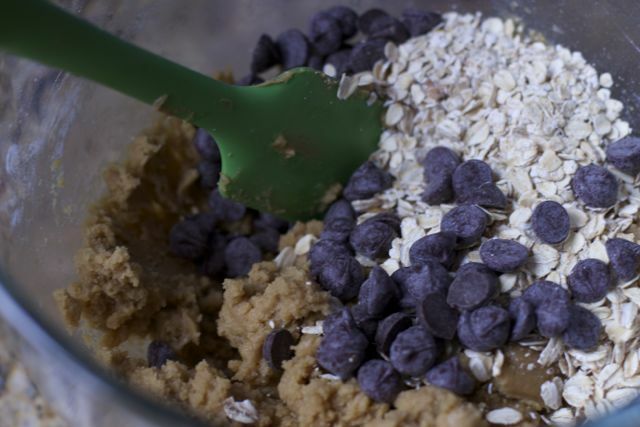 Now that you know How to Easily Freeze Cookie Dough you can get baking guilt free. Add to creamed mixture, beating well. Drop by teaspoons onto ungreased cookie sheets. Bake at 375’ oven for 10-12 minutes. Do not overbake. 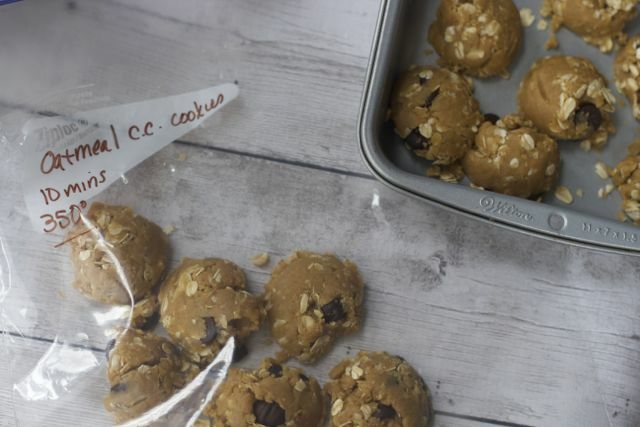 Now that you know how to freeze cookie dough, what recipe will you try first?